Mikayla Underwood, left, of Jackson Center, and Seth Hoaglin, of Botkins, were crowned queen and king of the	Anna, Botkins and Jackson Center Multiple Handicapped Units homecoming, in Jackson Center, Jan. 11. Students dance to “Fishin’ in the Dark,” by Nitty Gritty Dirt Band, during the homecoming event on Jan. 11. JACKSON CENTER — On Friday, Jan. 11, the Jackson Center/Upper Valley Career Center FCCLA hosted a homecoming dance and crowning for students of the Anna, Botkins and Jackson Center Multiple Handicapped Units. The event was put on through the collaborative efforts of many, including the Jackson Center Schools culinary classes, which prepared the meal with the help of a donation of meat from Curly’s Meat in Jackson Center; Jenny’s Designs in Botkins, who provided flowers for all attendees; and Village Salon in Anna, who styled the hair of all the girls for the occasion. Jackson Center choir students provided DJ services for the dance and the decorations were donated by the Jackson Center Student Council. The dance was complete with the crowning of the homecoming king, Seth Underwood, from the Botkins unit, and queen, Mikayla Hoaglin, of the Jackson Center unit. 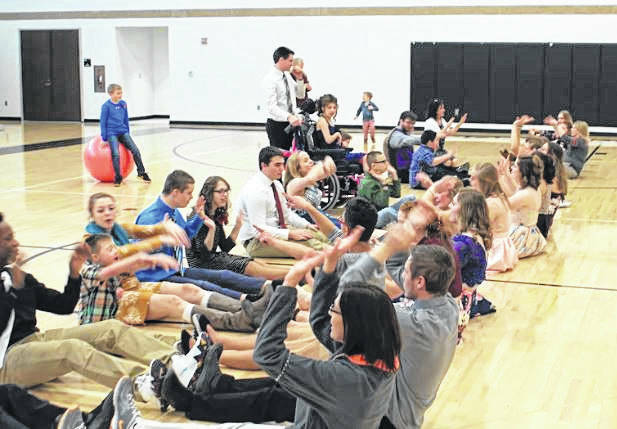 The dance was one of many events sponsored this year through an FCCLA service project called TGIF (Tigers Growing in Friendship), a program that has members of the chapter and student body matched up with a buddy from the multiple handicapped classrooms at Jackson Center. There have been monthly activities since the start of the school year, with the homecoming being the major event for the year. The project co-chairpersons were Morgan Kipker, Carleigh Ross and Kieran Yarkosky. Their chapter adviser is Vicki Kipker. 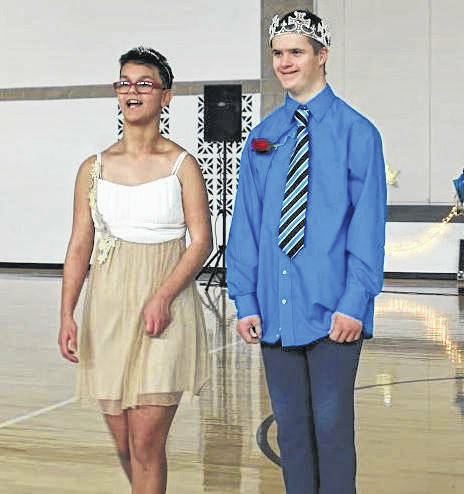 https://www.sidneydailynews.com/wp-content/uploads/sites/47/2019/01/web1_Homecoming-1.jpgMikayla Underwood, left, of Jackson Center, and Seth Hoaglin, of Botkins, were crowned queen and king of the	Anna, Botkins and Jackson Center Multiple Handicapped Units homecoming, in Jackson Center, Jan. 11.
https://www.sidneydailynews.com/wp-content/uploads/sites/47/2019/01/web1_Homecoming2-1.jpgStudents dance to “Fishin’ in the Dark,” by Nitty Gritty Dirt Band, during the homecoming event on Jan. 11.